Situated on the Spanish Coast overlooking the Mediterranean Sea, this stunner is called the Sunflower House by Cadaval & Sola-Morales Architects. 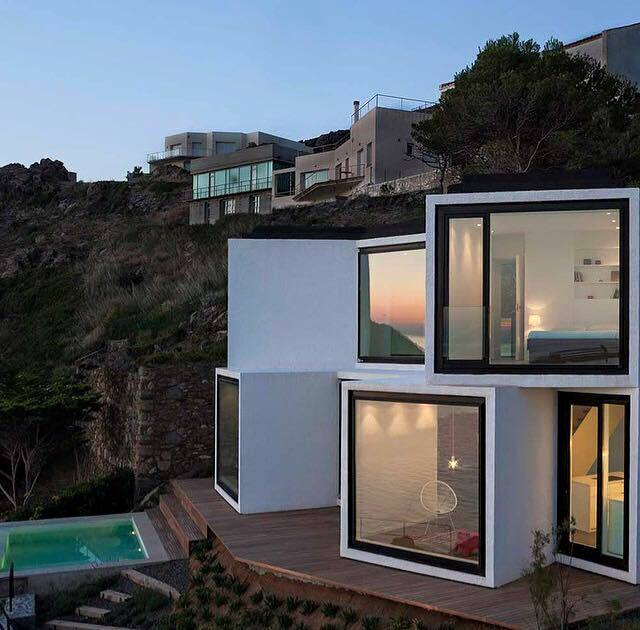 This futuristic home boasts a contemporary exterior design highlighting cubes of space. Easily recreate this look for your dolls, just takes one trip to IKEA!